Dubai, UAE (June 3, 2014) – Straight off the New York Fashion Week Runway show, Tommy Hilfiger launches the brand’s most celebrated, trend-driven range, ‘Hilfiger Collection’ to satisfy the growing demand for the brand’s higher-end collections by region’s fashion conscious shopper. For the first time ever, the collection showcased at the Tommy Hilfiger show at New York Fashion Week will be made available for retail exclusively at the brand’s flagship store in Mall of the Emirates. This season the collection has been extremely well received by editors and celebrities alike. SS14 has seen the likes of Rita Ora sporting the Hilfiger Collection. 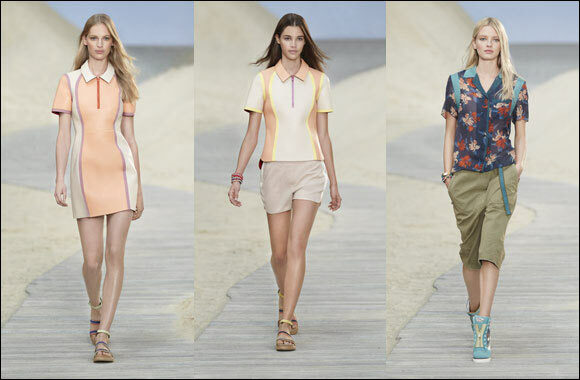 The SS14 Hilfiger Collection is now exclusively available at the brands store at Mall of Emirates.